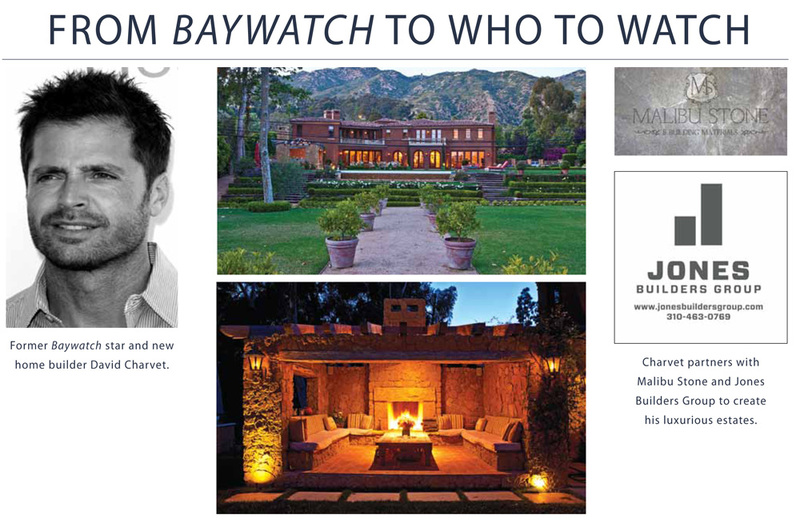 Recently David Charvet, one of the partners of Malibu Stone, a custom stone and fabrication company located in Malibu, California was interviewed by luxury real estate firm, The Radcliffe Group to find out what the television, film and world wide recording artist has done since he hung up his celebrity “Hollywood” status. Titled, “From Baywatch to Who to Watch”, David has turned his artistic and creative skills of entertaining his fans worldwide to becoming a true master of creating high-end luxury homes in the Los Angeles area for a whole new type of audience. One of the keys to his success was to partner with Malibu Stone and Jones Builder Group to create his signature “Charvet Estates“. To read the entire interview with David, please click here.